Lite version for non-commercial use! Version 2.0 released on 23/12/16! 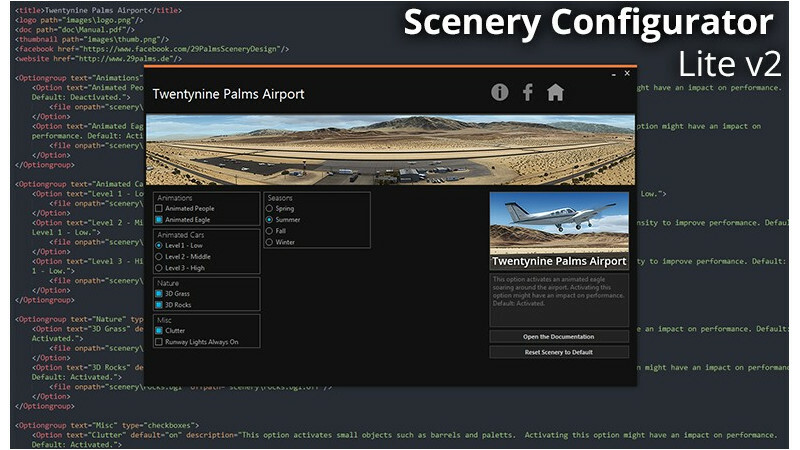 29Palms - Customizable Scenery Configurator LITE - Documentation.